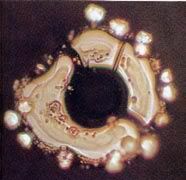 This post was inspired by the movie what the bleep do we know Below is a short video from this movie showing pictures of water crystals and how our thoughts, words, and intentions affect the structure of water crystals. If you would like to view the full movie you can watch it on the link below. 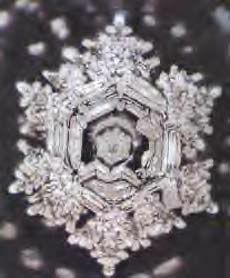 Water," from the findings of his worldwide research If you have any doubt that your thoughts affect everything in, and around you, the information and photographs that are presented here, taken from the book of his published results, will change your mind and alter your beliefs, profoundly. 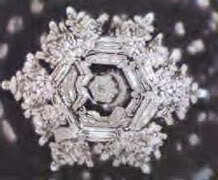 After seeing water react to different environmental conditions, pollution and music, Mr. Emoto and colleagues decided to see how thoughts and words affected the formation of untreated, distilled, water crystals, using words typed onto paper by a word processor and taped on glass bottles overnight. These photographs show the incredible reflections of water, as alive and highly responsive to every one of our emotions and thoughts. It is quite clear that water easily takes on the vibrations and energy of its environment, whether toxic and polluted or naturally pristine. yeah i found that part of the video very interesting. It's amazing how water reacts to the blessings and vibrations of the energies around us.absolutely amazing.Also i have been receiving mail from missionarys and the fountain of lourdes in france is said to have healing powers. 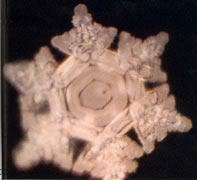 How interesting 90% of our body is water, so our thoughts affect 90% of our physical body. This is a great example of biblical saying " what the man thinketh so as he/she" . Very very interesting. Thank you for posting this, it was very informative. parrotlover wrote: Also i have been receiving mail from missionarys and the fountain of lourdes in france is said to have healing powers. Very Interesting Parrotlover, the power of prayer is exceptionally powerful, this fountain must have healing powers because of all the blessings from all the people. We have the power of prayer and it is a strong motivation and intent to send our positive energy out to where ever it is needed. It is amazing luda i actually watched the video but for some reason did not take into account and realize actually how much of our body is made up of water, sometimes i struggle with my attention span, anyhow what if we were to ask for a blessing on our bodies and the water in them, could we actually send this loving energy to ourselves and change the water crystals to it's perfect form? I too do not like negativity d-knots, i choose to be away from any situation that is negative, if at work, around my house, or out in public. This is the hardest thing to deal with, then i look at myself and see the negativity that is in me, and realize this is not the true me why am i in this negative state? What can i do to change this? One thing that i have found is being Humble has been very helpful, sometimes i feel i can take it upon my shoulders and i am not saying that this is the case for you, but i have noticed we all need help from one another, especially in those times of struggle. I will say that to me your posts are very positive and they have helped me in many ways, and i am sure they have helped many other members here. You must be on the right path, many people do not care about their bodies (the temple) you said it right that it would be to easy not to care. I feel that our personal path can be a struggle at times, but isn't it much tougher to do what's good and easy to do what's is bad for us? I think it is all about being Humble and being the light for others. I agree d-knots sometimes it can be very complicated, i think when we give of ourselves kindness & compassion towards others there life becomes full and enjoyable. To help others is one the greatest gifts we can share with humanity. As he has impacted your life, i am sure where ever he is you have impacted his life as well. We affect all we meet and the people that come into our lives also affect us. seems to be that everything has a purpose no? 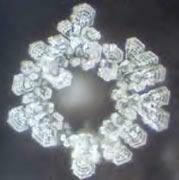 I read about Emoto and his work. His 'science' and his 'logic' is faulty. It is an emotionally warm fuzzy notion, though; intellectually it fails. 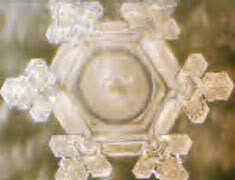 nameless wrote: I read about Emoto and his work. Please explain more and let’s have a discussion. I would be willing, but I think that I will be deemed 'negative' and demonized. It has happened before after 'threatening' 'beliefs' with critical thought/philosophy. I went to Emoto's website and found some basic fallacies in his logic. If you wish, and think that I will not be hung in effigy, I can go back and find the most glaring for discussion. I did think that overall both the 'bleeps' had some good food for thought, especially after getting past initial 'biases' and 'translating' into my reality..
"If you have any doubt that your thoughts affect everything in, and around you, the information and photographs that are presented here, taken from the book of his published results, will change your mind and alter your beliefs, profoundly." Thoughts do not 'affect' the environment, 'thoughts' are a perceived feature of the perceived environment/Universe. 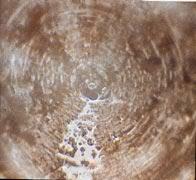 "Water is a very malleable substance. Its physical shape easily adapts to whatever environment is present. 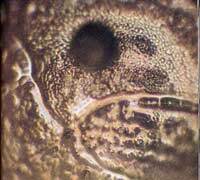 But its physical appearance is not the only thing that changes, the molecular shape also changes. 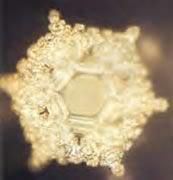 The energy or vibrations of the environment will change the molecular shape of water. 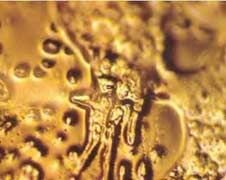 In this sense water not only has the ability to visually reflect the environment but it also molecularly reflects the environment." 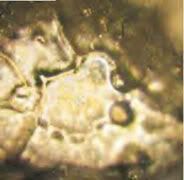 The molecular shape of water, H2O, is a little Mickey Mouse head and ears of hydrogen and oxygen. This does not change. 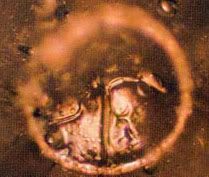 The crystalline structures, however, are supposedly all unique. "Energized water has had its molecules returned to their original life-giving, super moisturizing state. This allows maximum moisture absorption into the cells of your body, pets and plants; a major key to healing, and the maintenance of health and vitality." And what, exactly, is "energized water"? 'Energized' with what energy? How? Links to the experimental data in support of his claims seem rather... missing! That gives his 'science' an agenda/bias. His photos of 'representative' water XLS are differing in focus, clarity, distance, etc... On one he takes a distant complete foto and another he zooms in on a little area of the XLS that (seem to) justify his claims. It's there for anyone fairly well versed in science and critical thinking to evaluate. 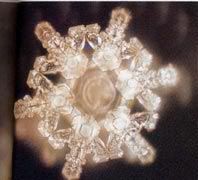 Actually, if I had another high school class to teach (how to think critically/philosophy), I'd lead them to Emoto's site and we could easily spend a month benefitting from the critical analysis of his work and thoughts. Re: " thoughts and words affect water" Is it the actual words or is it in the way we say them, our tone, as in, angry, calm, loud, quiet, the same goes for people talking to their plants, they say it helps the plants to grow better. I guess in reality every living thing/organism, will react to sound and tone. Vanilla2 wrote: I guess in reality every living thing/organism, will react to sound and tone. That seems that one definition of 'living', that something can 'react' to stimulus. It would be an 'unusual' definition of 'living' that includes 'water'. I wonder is critical thinking and an experience one of the same? Thank You nameless you have sparked something in me that i have not seen for quite some time, true critical thinkers and true believers could actually create a healthy balance, i feel that is what is happening here. As i love being in the clouds i also must realize that i am here on the earth. Hello nameless, I know I asked to understand better what it was you found faulty about this mans work but I have to be honest in that your reply, as in depth and interesting as it was, had my head spinning. This is because I really had no thoughts either way on what he presented here in this thread and I lack the facts needed to discuss this intelligently with you. The good news is I think what Vanilla and Spirit-being shared adds a beautiful touch to this topic and I think we all walk away better because of this discussion. Your thoughts and your knowledge are always welcome. Thank you for sharing them. I found the best way to learn is through our own experiences, i mean how many things have we read on the internet that were false but we believe them because we like to think of humanity as honest, so we buy into it. I told my girlfriend once about something i read on the internet and i believe it was from Buddha, when he said: Believe nothing, no matter where you read it, or who said it, no matter if I have said it, unless it agrees with your own reason and your own common sense. When we see water as living substance, possessing a consciousness and intelligence of its own, which it can communicate through us, it becomes reason to look at it, and life differently. Q) When we see a dog's tail as a leg, how many legs does that healthy dog have? A) Four! Calling a tail a leg doesn't make it so. Honoring the water that we drink with our highest thoughts and intentions before consuming it would change our experience with it. Honoring each other in the same way would do the same thing. I'd tend to agree with you there. Not that 'honoring' something (whatever that means to you) 'changes' anything, but it provides different 'context', and thus, a different experience. If you “experienced” or “realized” water as living substance, possessing a consciousness and intelligence of its own, would you then call what seems to be a leg, a tail? In other words, do you believe that you can “sense” or “know” things apart from simply using the mind? The mind can only see what it believes it can see. If you do not believe that water can have a consciousness of its own then you can not ever know it to be true using just your mind. The bigger problem is, the subconscious mind may be the reason we may not believe something and we usually are not even aware of it! Spirit-Being wrote: I tend to look for possibilities and experiences, rather than being a critical thinker but i will say that everything that each one of us thinks we know the answers to, will one day be refined in some way. The Universe is perceived differently every moment/percept. 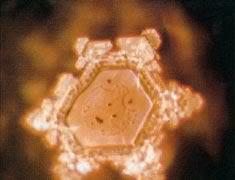 Scientific theories often change and transform, are never considered 'final' or 'conclusive', so, yes, you are correct. That is why "the more I learn, the less I 'know'!" 'Knowing' is not science, but religion, beliefs, ego. The reason i say this is because science often explains things through their own hypothesis. Randomness has very little room in a spiritual mindset as Determinism has very little room in a scientific mindset. I have little use for 'minds' that are 'set'. Like the difference between an oak and a willow; under the load of 'truth', the mighty oak shatters, where the limber and stretcky willow merely accomodates and continues to thrive. But truly are Science & Spirituality in search of the exact same thing which is the truth? I'd say that depends on the nature of the individual 'seeker'. I see where 'science' (quantum physics) and millennial mysticism are finally coinciding. The term 'scientific enlightenment' is still dripping wet, but is in use. All roads truly lead the sincere seeker to Rome! Of course, many egoically believe that they 'found/possess' Truth, so, for them, they have, but "the Tao/Truth that can be found/possessed/spoken is not the Tao/Truth!" As for prayer i am sure many prayers have not been answered, but what of the prayers that were answered do we just throw it out and say it was chance? Critically examined, if there were a Xtian god that actually grants wishes/demands/pleadings, you's have to find your own way through wht It sometimes grants and sometimes doesn't. There are many 'rationalizations' and 'justifications' that are used. Cognitive fallacies and cognitive errors all go in support of 'beliefs'. Beliefs have two imperatives; survive and propagate! All sorts of horrors and attrocities have been unleashed on mankind and the environment in the name of 'beliefs'. Philosophers have never killed priests! I found the best way to learn is through our own experiences, i mean how many things have we read on the internet that were false but we believe them because we like to think of humanity as honest, so we buy into it. Depends on the individual Perspective. Why include this? I have heard it used when critically evaluating the nature of 'beliefs', which we are not. A 'believer' (and his beliefs, no matter what they might be) is (are) no less valid a real and true feature of the complete Universe as anyone/anything else. Personally, I have no 'beliefs'. Can we 'translate' the term 'experience' to perceive? We (Conscious Perspectives) perceive the Universe. In that perception does the Universe exist. We perceive 'thoughts', we perceive 'dreams', we perceive 'our bodies', we perceive 'hamburgers', etc... Whatever is perceived, exists. There can be no thing that exists that is not perceived by Conscious Perspective (us). Our 'perceptions' are our experience. Reality is sooooo much stranger/wilder/dangerous/greater than fiction! "The problem with 'fiction' is that it must be believable!" All equally valid/real (in context). Duuuuude! Real 'blessings' are painful! WhiteShaman wrote: If you “experienced” or “realized” water as living substance, possessing a consciousness and intelligence of its own, would you then call what seems to be a leg, a tail? Me? I'm a critical thinker, so I do not attribute such anthropomorphic qualities to water, H2O, or rocks, or dead wood on the seashore or a piece of metal. Others might perceive them differently and that would be their reality. All perceived 'realities' are real features of the complete Universe. What we see around us is 'Mind'. There is no, nor can there be existence beyond the 'perception' (mind?) of it. Perceiver and perception are one. If you mean 'mind' as in 'thoughts', then, yes, we can directly perceive 'stuff' thoughtlessly, as during meditation/Zen, for instance. The mind can only see what it believes it can see. I don't think that I would agree with this. But I would agree that people 'believe' what they see, generally. If you do not believe that water can have a consciousness of its own then you can not ever know it to be true using just your mind. It can be 'true' for you. 'Critical thought' is inversely proportional to 'belief', the more of one, the less of the other. I needn't 'believe' that water is wet at room temperature, that is my direct perception, reality. I do not 'believe' in such a thing as 'subconscious'. We are varying degrees of Consciousness, larger and smaller Perspectives. Again, where there is 'critical thought', there can be no beliefs. I like what you have said and I understand and probably agree with most, if not all of it but before I can say that for sure and comment intelligently, I must ask you what you mean exactly by “critical thought”?